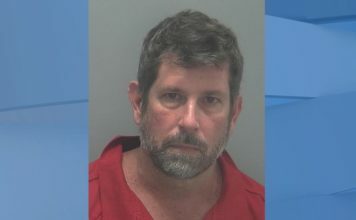 FORT MYERS, Fla. Three people arrested in connection with a shooting Thursday night were held without bond Sunday, the Fort Myers Police Department said. 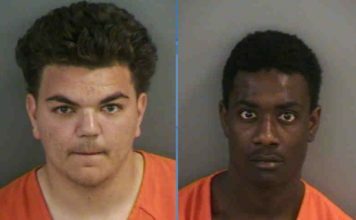 Fort Myers residents Ronald Eugene Ashley III, 20, Steven Lemar Williams, 20, and Jacques Lamar Brown Jr., 18, were booked into the Lee County Jail Saturday, according to a sheriff’s office arrest report. “I could not be any more proud of the effort and commitment displayed by all of our personnel to identify these three individuals and remove them from our city streets before they had an opportunity to harm another member of our community,” said Captain Jay Rodriguez in a statement. The trio faces charges of second-degree murder and home invasion robbery with a firearm, according to police. They are being held without bond. They are accused of killing Zachary Michael Alexander Holmes, 21, on Thursday at the Waterford Apartments on the 3500 block of Central Avenue, police said. Holmes was taken to the hospital, but succumbed to his injuries.